People in chronic pain are some of the most difficult patients to treat. They have complex circumstances that medicine can't always remedy. Pain can be amplified, by depression and anxiety, genetics and quality of life. Genetics can also play a role in how people experience pain. Clinicians and researchers at UW Medicine's Center for Pain Relief found that an in-depth questionnaire can help immensely. Their work to create a pain assessment adaptable to any primary care clinic was recently published in the Journal of General Internal Medicine. "To effectively treat the patient, these questions should be asked," said lead author Dale Langford, research assistant professor in anesthesiology and pain medicine at the University of Washington School of Medicine. "This lack of progress may partly be due to the multidimensionality of chronic pain, which is not routinely incorporated into it assessment and management," they wrote. The assessment addresses the patient's treatment history, goals and expectations, pain intensity, pain-related disability, problems with pain medication, and quality-of-life issues such as sleep, depression and anxiety. A body diagram helps to pinpoint where the pain is affecting most. 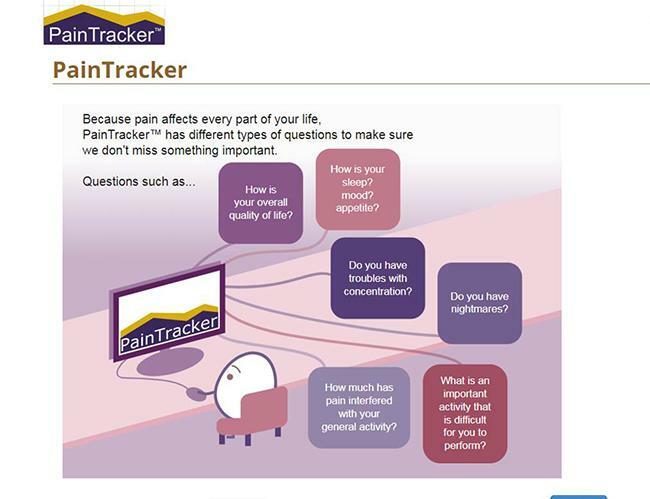 "PainTracker provides a richer picture of patients' responses to chronic pain treatments than the 0-10 pain rating scale," said co-author Mark Sullivan, UW professor of psychiatry. He described the case of a patient new to his clinic who had already seen seven other doctors, including two pain specialists and had been prescribed a high dose of opioids and sedatives. The patient's comments in PainTracker indicated severe depression, moderate anxiety, poor quality of life, sleep apnea, and likely post-traumatic stress disorder. At their first meeting, Tauben said, the patient embraced the responsibility to improve his mood, sleep and other ways to improve his life quality. The patient found relief with sleep-hygiene training, and resilience training from the center's clinical psychologist. Under the center's direction, he sought out functional rehabilitation sessions from a physical therapist. He took yoga at a studio and mindfulness classes led by one of the center's physicians.